This article is about the ideology. For other uses of the term Republicanism, please see Republicanism (disambiguation). Republicanism is the political ideology of a nation as a republic, with an emphasis on liberty, rule by the people, and the civic virtue practised by citizens. Republicanism always stands in opposition to aristocracy, oligarchy and dictatorship. More broadly, it refers to a political system that protects liberty, especially by incorporating a rule of law that cannot be arbitrarily ignored by the government. Much of the literature deals with the issue of what sort of values and behaviour by the citizens is necessary if the republic is to survive and flourish; the emphasis has been on widespread citizen participation, civic virtue, and opposition to corruption. While republicanism is incompatible with a powerful monarchy, scholars point out it is compatible with a constitutional monarch holding symbolic roles (as in the modern United Kingdom, Canada and Japan). In recent years Australians have been debating whether their commitment to republicanism is compatible with their status as a constitutional monarchy. Advocates of republicanism argue that it demands a citizenry that puts a premium on civil virtue and opposes corruption; that is, it is incompatible with office holders using public power for personal gain. The loose sense of "republic" means a government that is not a monarchy. Therefore many dictatorships have called themselves "republics," but none ever protected liberty or the rights of their citizens. Republicanism in practice overlaps with democracy, which is rule by the people. There is one major distinction: in a democracy the people can do anything they want, with no restraints, such as reducing the liberties of some or all the people. A basic meaning of republicanism is the opposition to powerful monarchies. Republic comes from the Latin phrase res publica and one meaning of this term is the form of government that began with the expulsion of the last King (Rex) of Rome creating the Roman Republic. While this government was much lauded by its contemporaries, once it was replaced with the Roman Empire, republicanism became all but extinct. In Europe, republicanism was revived in the late Middle Ages when a number of small Italian and German states embraced a republican system of government. These were generally small, but wealthy, trading states in which the merchant class had risen to prominence. Haakonssen notes that by the Renaissance Europe was divided with those states controlled by a landed elite being monarchies and those controlled by a commercial elite being republics. These included Italian city states like Florence and Venice and the members of the Hanseatic League. In 16th century Florence the school of thought known as classical republicanism or civic humanism explored the central issue of republicanism; the central work was Niccolò Machiavelli's Discourses on Livy. Machiavelli and others modeled republicanism on classical Athens, Sparta, and the Roman Republic, and closely studied the political philosophy such as Aristotle, Polybius and especially Cicero. They did not see republican model as one that could be applied universally, most felt that it could be successful only in their own small, urbanized city-states. Anti-monarchism became far more strident in the Dutch Republic during and after the Eighty Years' War, which began in 1568. This anti-monarchism was less political philosophy and more propagandising with most of the anti-monarchist works appearing in the form of widely distributed pamphlets. Over time this evolved into a systematic critique of monarchies written by men such as Johan Uytenhage de Mist, Radboud Herman Scheel, Lieven de Beaufort and the brothers Johan and Peter de la Court. These writers saw all monarchies as illegitimate tyrannies that were inherently corrupt. Less an attack on their former overlords these works were more concerned with preventing the position of Stadholder from evolving into a monarchy. This Dutch republicanism also had an important influence on French Huguenots during the Wars of Religion. In the other states of early modern Europe republicanism was more moderate. Although Shakespeare is often portrayed as a conservative political thinker characterized by an over-riding fear of the 'mob', Hadfield (2005) argues that Shakespeare's writing actually emerged out of an intellectual milieu fascinated by republican ideas. From the 1590s onwards, he explored republican themes in his poetry and plays: political assassination, elected government, alternative constitutions, and, perhaps most importantly of all, the problem of power without responsibility. In England a republicanism evolved that was not wholly opposed to monarchy, but rather thinkers such as Thomas More and John Milton saw a monarchy firmly constrained by law as compatible with republicanism. 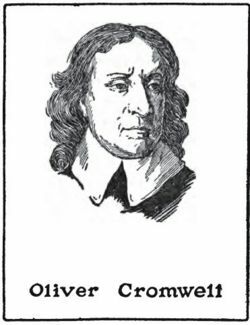 Oliver Cromwell set up a republic called the "Commonwealth of England" (1649-1660) and ruled as a near dictator after the overthrow of King Charles I. A leading philosopher of republicanism was James Harrington. The collapse of Cromwell's Commonwealth in 1660 and the restoration of the monarchy under Charles II discredited republicanism among England's ruling circles. However they welcomed the liberalism and emphasis on rights of John Locke, which played a major role in the Glorious Revolution of 1688. Nevertheless republicanism flourished in the "country" party of the early 18th century. That party denounced the corruption of the "court" party, producing a political theory that heavily influenced the American colonists. In general the ruling classes of the 18th century vehemently opposed republicanism, as typified by the attacks on John Wilkes, and especially by the wars to overthrow the American Revolution and the French Revolution. Since the late 20th century opponents of the current constitutional monarchy consider themselves republicans. As Baker has shown, classical republicanism was a central political value in eighteenth-century France and in the French Revolution. It was an oppositional political language defined by a discourse of political will, which was then transformed in Rousseau's "fusion" of classical republicanism and social contract theory in The Social Contract such that civic virtue and the general will were inextricably linked; one could not survive without the other. During the Revolution, Baker argues, and above all in the words of Marat, Robespierre, and Saint-Just, classical republicanism underwent further development through combination with the Enlightenment conception of revolution, then changed into an explosive concoction that culminated in the Terror. Livesey contends that a highly democratic "modern" or "commercial" republicanism—and thus not an elitist classical republicanism—was the dominant political language of post-Thermidor France. Republicanism in Ireland developed from the political Home Rule, literary Gaelic Revival and radical Fenian movements. The principal Home Rule party in Ireland was the Irish Parliamentary Party. For others, such as Sinn Féin, Home Rule wasn't enough - they desired secession from the United Kingdom. Still others, such as the Irish Unionist Party, objected to both. Home Rule was put on hold due to the outbreak of World War I. However, some saw this as an opportunity and staged a failed rebellion in Dublin - the Easter Rising of 1916. While the uprising failed, the actions taken by the British government in executing many of the rebellion's leaders, increased support for Sinn Féin and the separatist movements, such as the militant Irish Republican Brotherhood. After the end of the Second World War, the "Better Government" Act was passed, a compromise which allowed for the creation of the Southern and Northern parliaments. The Anglo-Irish Treaty was ratified at the end of 1921, which in turn ratified the Better Government Act. Northern Ireland exercised its right to remain a part of the United Kingdom, with a devolved government. The Treaty was further ratified in the Southern Ireland House of Commons and in Westminster, but only narrowly in the Dáil Éireann ("Irish Parliament"). Southern Ireland was succeeded by the Irish Free State, which had dominion status, the following year. Due to objections, however, a sustained civil war eventually broke out between pro- and anti-Treaty factions, some of it spilling over the newly-created border into Northern Ireland. The state effectively removed itself from the British Commonwealth by declaring itself a republic under the Republic of Ireland Act, 1948 (effective on the 1st of April, 1949). Anti-Treaty Republicanism still continued throughout Ireland, with some support from sections of the Irish diaspora and nationalists throughout the United Kingdom. Since the outbreak of The Troubles in the late 1960s, and the advent of the Provisional IRA at the end of 1969, Republicanism often, but not always, specifically referred to militants and supporters of the IRA. Although the twenty-six county state has been a republic since 1949, republicanism with regard to Ireland refers to the political ideology of a 'united Ireland' - the desire that Northern Ireland should be split from the United Kingdom and be joined to the Republic of Ireland as a thirty-two county, all-Ireland republic. Republicanism is not, however, confined to an ideology of separatism, and there are some people in Northern Ireland who may support the Union but who would like to see reform throughout the United Kingdom bring about an end to the monarchy. Perhaps the most interesting influence of republicanism was witnessed in 1923 when Turkey formed a new democratic Turkish state based on Atatürk's principles (Six Arrows: Republicanism, Populism, Secularism, Reformism, Nationalism, and Statism), after the fall of the Ottoman Empire which had been an inherited aristocracy and sultanate suppressing republican ideas. In the 21st century Turkey has sought admission to the European Union on the grounds that it shares common political values with the nations of Europe. This concept shares some of the same classical roots as European republicanism. For more information, see: Republicanism, U.S.. In the early 20th century the consensus of scholars was that liberalism, especially that of John Locke, was paramount and that republicanism had a distinctly secondary role. The major proponent was Hartz (1955). The attraction of the Lockean model was that it explained why Americans were individualistic, why they demanded their "rights" all the time, and why they stressed private property and opposition to taxation. In the 1970s a new interpretation that emphasized republicanism was pioneered by J.G.A. Pocock who argued in The Machiavellian Moment (1975) that at least in the early eighteenth century republican ideas were just as important as liberal ones. Pocock's view is now widely accepted. Bernard Bailyn and Gordon Wood pioneered the argument that the American founding fathers were more influenced by republicanism than they were by liberalism. This approach explains American fear of corruption and of strong central government and monopolies, as well as their dedication to liberty. "The Whig canon and the neo-Harringtonians, John Milton, James Harrington and Sidney, Trenchard, Gordon and Bolingbroke, together with the Greek, Roman, and Renaissance masters of the tradition as far as Montesquieu, formed the authoritative literature of this culture; and its values and concepts were those with which we have grown familiar: a civic and patriot ideal in which the personality was founded in property, perfected in citizenship but perpetually threatened by corruption; government figuring paradoxically as the principal source of corruption and operating through such means as patronage, faction, standing armies (opposed to the ideal of the militia), established churches (opposed to the Puritan and deist modes of American religion) and the promotion of a monied interest—though the formulation of this last concept was somewhat hindered by the keen desire for readily available paper credit common in colonies of settlement. A neoclassical politics provided both the ethos of the elites and the rhetoric of the upwardly mobile, and accounts for the singular cultural and intellectual homogeneity of the Founding Fathers and their generation." The commitment of most Americans to these republican values made inevitable the American Revolution, for Britain was increasingly seen as corrupt and hostile to republicanism, and a threat to the established liberties the Americans enjoyed. By abandoning English constitutionalism and creating a new republic based on the rights of the individual, the North Americans introduced a new force in the world. Ideas spread most rapidly when they have found adequate concrete expression. Thus republicanism entered our Romanic/Germanic world. Up to this point, the conviction had prevailed in Europe that monarchy best served the interests of the nation. Now the idea spread that the nation should govern itself. But only after a state had actually been formed on the basis of the theory of representation did the full significance of this idea become clear. All later revolutionary movements have this same goal…. This was the complete reversal of a principle. Until then, a king who ruled by the grace of God had been the centre around which everything turned. Now the idea emerged that power should come from below. These two principles are like two opposite poles, and it is the conflict between them that determines the course of the modern world. In Europe the conflict between them had not yet taken on concrete form; with the French Revolution it did. The Radicalism movement emerged in European states in the 19th century. Although most radical parties later came to be in favour of economic liberalism policies, thus justifying the absorption of radicalism into the liberalism tradition, all 19th century radicals were in favour of the Republic and of universal suffrage, while liberals were at the time in favour of constitutional monarchy and census suffrage. Thus, radicals were as much Republicans as liberals, if not more. This distinction line between Radicalism and Liberalism hasn't totally disappeared in the 20th century, although many radicals simply joined liberal parties or became virtually identical to them. For example, the Left Radical Party in France or the (originally Italian) Transnational Radical Party which exist today have a lot more to do with Republicanism than with simple liberalism. Thus, Chartism in the UK or even the early Republican, Radical and Radical-Socialist Party in France were closer to Republicanism (and the left-wing) than to liberalism, represented in France by the Orleanist whom rallied to the French Third Republic only in the late 19th century, after the comte de Chambord's 1883 death and the De Rerum Novarum 1891 papal encyclic. Radicalism remained close to Republicanism (which is a term used more commonly to identify the conservative-liberal tradition in France, represented by several parties: Democratic Republican Alliance, Republican Federation, National Center of Independents and Peasants, Independent Republicans, Republican Party,Liberal Democracy) in the 20th century, at least in France where they governed several times with the other left-wing parties (participating in both the Cartel des gauches coalitions as well as the Popular Front). Discredited after the Second World War, French Radicals split into a left-wing party – the Left Radical Party, a part of the French Socialist Party– and the Radical Party "valoisien", associate party of the conservative Union for a Popular Movement (UMP). Italian Radicals maintained close links with Republicanism as well as Socialism, with the Partito radicale founded in 1955 which became the Transnational Radical Party in 1989. Anti-monarchy republicanism remains a political force of varying importance in many states, especially in the Commonwealth nations of Australia, Canada, New Zealand, Jamaica and Barbados. In these countries, republicanism is largely about the post-colonial evolution of their relationships with the United Kingdom. In Australia it is a party issue. In 1999, Liberal-National Party coalition Prime Minister John Howard, an ardent monarchist, successfully campaigned to preserve the status quo, with the Queen as an absentee Head of State. (She was not invited to the Olympics in Sydney in 2000.) However, the Australian Labor Party under Kevin Rudd (who led in the polls in September 2007), promised another referendum to abolish the monarchy. The problem in Australia has been deciding on the alternative; politicians want a parliamentary system with a strong prime minister and a weak president (like Germany and Italy), while voters prefer a strong president (like France). In the surviving European monarchies, such as the United Kingdom, the Netherlands, and Sweden there has not been much contemporary popular support for republicanism, though in most cases it nonetheless commands a significant minority position. In such states republicanism is usually motivated by decreasing popularity of the Royal Family, who may be increasingly embroiled in scandal or conflict. However the classical argument against monarchy versus the egalitarian aspects of republicanism will often remain prominent as well. A different interpretation of republicanism is used among political scientists. To them a republic is the rule by many and by laws while a princedom is the arbitrary rule by one. By this definition despotic states are not republics while, according to some such as Kant, constitutional monarchies can be. Kant also argues that a pure democracy is not a republic as the unrestricted rule of the majority is also a form of despotism. Vaishali in what is now Bihar, India was the first republic in the world, similar to and preceding those later found in ancient Greece. It continues to be inhabited today and is a major pilgrimage centre for the Jains and the Buddhists. In Ancient Greece several philosophers and historians set themselves to analysing and describing forms of government. There is no single expression or definition from this era, written down in Greek, that exactly corresponds with a modern understanding of the term "republic". However, most of the essential features of the modern definition are present in the works of Plato, Aristotle, Polybius, and other ancient Greeks. These elements include the idea of mixed government and of civic virtue. It should be noted that the modern title of Plato's dialogue on the ideal state (The Republic) is a misnomer when seen through the eyes of modern political science (see Republic (Plato)). Some scholars have translated the Greek concept of "politeia" as "republic", but most modern scholars reject this idea. A number of Ancient Greek states such as Athens and Sparta have been classified as classical republics, though this uses a definition of republic that was developed much later. Both Livy (in Latin, living in Augustus' time) and Plutarch (in Greek, a century later) described how Rome had developed its legislation, notably the transition from kingdom to republic, based on Greek examples. Probably some of this history, composed more than half a millennium after the events, with scant written sources to rely on, is fictitious reconstruction - nonetheless the influence of the Greek way of dealing with government is clear in the state organisation of the Roman Republic. The Greek historian Polybius, writing more than a century before Livy, was one of the first historians describing the emergence of the Roman Empire, and he had a great influence on Cicero, when this orator was writing his politico-philosophical works in the 1st century BC. One of these works was De re publica, where Cicero links the Latin res publica concept to the Greek politeia concept. As explained in the res publica article, also this concept only exceptionally links to the modern term "republic" although the word "republic" is derived from res publica. Among these many meanings of the expression res publica, it is most often translated to "republic" only in the case where the Latin expression refers to the Roman state with the form of government it had between the era of the Kings and the era of the Emperors, which was the Roman Republic. This Roman Republic would in a modern understanding of the word still be qualified as a true republic, even if not excelling in all the features Enlightenment philosophers saw for an ideal government system, for example there was no systematic separation of powers in the Roman Republic. Occasionally Romans could still refer to their state as "res publica" in the era of the early emperors. The reason for this is that on the surface the state organisation of the Roman Republic had been preserved without the slightest alteration by the first emperors. They had only several offices that in the era of the Republic were reserved to separate persons, accumulated in a single person, and had been successful in making some of these offices permanent and thus had gradually built sovereignty in their person. Traditionally, such references to the early empire as "res publica" are not translated as "republic". As for Cicero, his description of the ideal state in De re publica is more difficult to qualify as a "republic" in modern terminology, it is rather something like enlightened absolutism--not to say benevolent dictatorship--and indeed Cicero's philosophical works, as far as available at that time, were very influential when Enlightenment philosophers like Voltaire developed these concepts. Cicero related however with some ambiguity towards the republican form of government: in his theoretical works he defended monarchy (or a monarchy/oligarchy mixed government at best); in his political life he generally opposed to those trying to realise such ideals, like Julius Caesar, Mark Antony and Octavian. Eventually, that opposition led to his death. So, depending on how one reads history, Cicero could be seen as a victim of his own deep-rooted republican ideals too. Tacitus, a contemporary of Plutarch, was not concerned with whether on an abstract level a form of government could be analysed as a "republic" or a "monarchy" (see for example Ann. IV, 32-33). He analyses how the powers accumulated by the early Julio-Claudian dynasty were all given to the representatives of this dynasty by a State that was and remained in an ever more "abstract" way a republic; nor was the Roman Republic "forced" to give away these powers to single persons in a consecutive dynasty: it did so out of free will, and reasonably in Augustus' case, because of his many merits towards the state, freeing it of civil wars and the like. But at least Tacitus is one of the first to follow this line of thought: analysing in which measure such powers were given to the head of state because the citizens wanted to give them, and in which measure they were given because of other principles (for example, because one had a deified ancestor) — such other principles leading more easily to abuse by the one in power. In this sense, that is in Tacitus' analysis, the impossibility to return to the Republic was irreversible only when Tiberius established power shortly after Augustus' death (AD 14, much later than most historians place the start of the Imperial form of government in Rome): by this time too many "untouchable" principles had been mingled in to keep Tiberius away from power, and the age of "sockpuppetry in the external form of a republic", as Tacitus more or less describes this Emperor's reign, began (Ann. I-VI). The idea of the Republic is drawn from Ancient Greece, Ancient India, and Rome but it was truly created during the Renaissance when scholars built upon their conception of the ancient world to advance their view of the ideal government. The usage of the term res publica in classical texts should not be confused with current notions of republicanism. Despite its name Plato's The Republic also has little connection. The republicanism developed in the Renaissance is known as classical republicanism because of its reliance on classical models. This terminology was developed by Zera Fink in the 1960s but some modern scholars such as Brugger consider the term confusing as it might lead some to believe that "classical republic" refers to the system of government used in the ancient world. "Early modern republicanism" has been advanced as an alternative term. Also sometimes called civic humanism, this ideology grew out of the Renaissance writers who developed the idea of the republic. More than being simply a non-monarchy the early modern thinkers developed a vision of the ideal republic. It is these notions that form the basis of the ideology of republicanism. One important notion was that of a mixed government. Both Plato and Aristotle saw three basic types of government, democracy, aristocracy, and monarchy. First Aristotle, and especially Polybius and Cicero developed the notion that the ideal republic is a mixture of these three forms of government and the writers of the Renaissance embraced this notion. Also central the notion of virtue and the pursuit of the common good being central to good government. Republicanism also developed its own distinct view of liberty, though what exactly that view is much disputed. In the Enlightenment anti-monarchism stopped being coextensive with the civic humanism of the Renaissance. Classical republicanism, still supported by philosophers such as Rousseau and Montesquieu, became just one of a number of ideologies opposed to monarchy. The newer forms of anti-monarchism such as liberalism and later socialism quickly overtook classical republicanism as the leading republican ideologies. Republicanism also became far more widespread and monarchies began to be challenged throughout Europe. From this period, it becomes increasingly difficult to distinguish between the descriptions and definitions of the "republic" concept on the one side, and the ideologies based on such descriptions on the other. Up till then the situation had been different: even those Renaissance authors that spoke highly of republics were rarely critical of monarchies. While Machiavelli's Discourses on Livy is the period's key work on republics he also wrote The Prince on how to best run a monarchy. One cause of this was that the early modern writers did not see the republican model as one that could be applied universally, most felt that it could be successful only in very small and highly urbanized city-states. In antiquity writers like Tacitus, and in the renaissance writers like Machiavelli tried to avoid formulating an outspoken preference for one government system or another. Enlightenment philosophers, on the other hand, always had an outspoken opinion. However, Thomas More, still before the Age of Enlightenment, must have been a bit too outspoken to the reigning king's taste, even when coding his political preferences in a Utopian tale. French Enlightenment thinkers such as Rousseau and Montesquieu expanded upon and altered the ideas of what an ideal republic would be: some of their new ideas were scarcely retraceable to antiquity or the Renaissance thinkers. Among other things they contributed and/or heavily elaborated notions like social contract (emphasised by Rousseau), and the separation of powers. They also borrowed from and distinguished it from the ideas of liberalism that were developing at the same time. Since both liberalism and republicanism were united in their opposition to the absolute monarchies they were frequently conflated during this period. Modern scholars see them as two distinct streams that both contributed to the democratic ideals of the modern world. An important distinction is that while republicanism continued to stress the importance of civic virtue and the common good, liberalism was based on economics and individualism. It might be argued that while liberalism developed a view of liberty as pre-social and sees all institutions as limiting liberty, republicanism sees some institutions as necessary to create liberty. On the other hand, liberalism is strongly committed to some institutions e.g. the Rule of Law. Montesquieu, in his De l'Esprit des Lois (the Spirit of the Law(s)), wrote that the defining principle of a republic was "virtue", compared with "honour" for a monarchy and "fear" for a despotism. At the time of his writing (the 1740s) he had for the main examples of a republic those of the ancient Greek city-states and of Rome. Drawing on these, he argued that the strength of a republic lay in there being no great discrepancy of wealth between the citizens, and that the growth of luxury leads to individualism, which weakens the state. It has long been agreed that republicanism, especially that of Rousseau played a central role in the French Revolution. The French Revolution, which was to throw over the French monarchy in the 1790s, installed, at first, a republic; Napoleon turned it into an Empire with a new aristocracy. In the 1830s Belgium adopted some of the innovations of the progressive political philosophers of the Enlightenment too. In Poland moderate republicanism was also an important ideology. In Poland republicans were those who supported the status quo of having a very weak monarch and opposed those who felt a stronger monarchy was needed. These Polish republicans such as Lukasz Gornicki, Andrzej Wolan, and Stanislaw Konarski were well read in classical and Renaissance texts and firmly believed that their state was a Republic on the Roman model and called their state the Rzeczpospolita. Unlike in the other areas Polish republicanism was not the ideology of the commercial, but rather of the landed aristocracy who would be the ones to lose power if the monarchy was expanded. Republicanism is a system that replaces inherited rule with citizenship based on individual liberty and civic virtue. The keys are a positive emphasis on liberty, and a negative rejection of corruption and all forms of aristocracy, its trappings, and its way of thinking and ordering society. In the late 20th century there has been so much convergence between democracy and republicanism that confusion results. As a distinct political theory republicanism originated in classical history and became important in early modern Europe, as typfied by Machiavelli. It became especially important as a cause of the American Revolution and the French Revolution in the 1770s and 1790s. All republicans rejected inherited elites and aristocracies, but the question was open whether the republic, in order to restrain unchecked majority rule, should have an unelected upper chamber, the members perhaps appointed meritorious experts, or should have a constitutional monarch. Although conceptually separate from democracy, republicanism included the key principles of rule by the consent of the governed and sovereignty of the people. In effect republicanism meant that the kings and aristocracies were not the real rulers, but rather the people as a whole were. Exactly how the people were to rule was an issue of democracy--republicanism itself did not specify how. In the United States the solution was the creation of First Party System, with political parties that were popularly based on the votes of the people, and which controlled the government. See Republicanism, United States. Many exponents of republicanism, such as Benjamin Franklin, Thomas Paine and Thomas Jefferson were strong promoters of representative democracy. However other supporters of republicanism, such as John Adams and Alexander Hamilton, were more distrustful of majority rule and sought a government with more power for elites. There were similar debates in many other democratizing nations. The original framers of the United States Constitution were notably cognizant of what they perceived as a danger of majority rule in oppressing the liberty of the individual. As John Adams explained, "the very definition of a Republic, is 'an Empire of Laws, and not of men.'" In a democracy, however, the people at any time can change the laws and do what they want. The idea that government had to be restrained to protect liberty, and the rights of the people be protected was a core value of republicanism, but it was not a core value of democracy. In the 1830s John C. Calhoun reconciled liberty with democracy by insisting on concurrent majorities so that the rights of minorities would be protected. Although Calhoun wanted to protect southern slavery, his idea of protecting minorities regardless of the democratic will of the people became a main concern of politics in the 20th century. Calhoun drew on James Madison, who in 1788 in Federalist Paper No. 10, advocated a constitutional republic over a democracy to protect the individual from the majority. The American framers rejected democratic institutions within the Constitution, but guaranteed liberty through the United States Bill of Rights, and made the Federal government responsible for guaranteeing that each state has a "republican form of government." This guarantee was the basis of Federal intervention of the southern states during Reconstruction after the American Civil War. That intervention involved guaranteeing citizenship and civil rights to the freed slaves (that is, "liberty") and also giving them the right to vote so they could protect those liberties (that is, expanding democracy in order to protect republican liberties and rights.) In the early 19th century, under Jeffersonian Democracy and Jacksonian Democracy the nation adopted democratic practices, such as suffrage for nearly all adult male citizens. In the late 1860s suffrage was extended to African Americans. In contemporary usage, the term "democracy" refers to a government chosen by the people, whether it is direct or representative. The key point is that a new vote of the people can overthrow any old constitutional rights or guarantees. The term "republic" has many different meanings but today often refers to a representative democracy with an elected head of state, such as a president, serving for a limited term, in contrast to states with a hereditary monarch as a the head of state, even if these states also are representative democracies with an elected head of government such as a prime minister. The original framers of the United States Constitution were keenly aware of the danger of majority rule in oppressing freedom and liberty of the individual. For example, James Madison, in Federalist Paper No. 10, advocates a constitutional republic over a democracy to protect the individual from the majority. The framers set up a House of Representatives to represent the people, a Senate to represent the states, and created an "electoral college" whereby a small number of elites would select the president. Republican liberty was protected by a separation of powers, a layered federal structure, and a Bill of Rights. Initially after the American and French revolutions the question was open whether a democracy, in order to restrain unchecked majority rule, should have an elitist upper chamber, the members perhaps appointed meritorious experts or having lifetime tenures, or should have a constitutional monarch with limited but real powers. Some countries (as the United Kingdom, the Netherlands, Belgium, the Scandinavian countries and Japan) turned powerful monarchs into constitutional monarchs with limited or, often gradually, merely symbolic roles. Often the monarchy was abolished along with the aristocratic system (as in the U.S., France, China, Russia, Germany, Austria, Hungary, Italy, Greece and Egypt). In Australia, the monarchy is seen as a hollow shell. However, there is no consensus on how to replace it. Most voters want a powerful president (as in the U.S., France, and Russia), while most politicians want to keep the parliamentary system and have only a weak president (as in Italy and Germany). For details, see Republicanism in Australia. Many nations had elite upper houses of legislatures, the members of which often had lifetime tenure, but eventually these senates lost power (as in the United Kingdom's House of Lords) or else became elective and remained powerful (as in the United States Senate). ↑ Professor Isaac Kramnick argues that Americans have always been highly individualistic and therefore Lockean.Isaac Kramnick, Ideological Background," in Jack. P. Greene and J. R. Pole, The Blackwell Encyclopedia of the American Revolution (1994) ch 9; Robert E. Shallhope, "Republianism," ibid ch 70. ↑ James Madison, "The Same Subject Continued: The Union as a Safeguard Against Domestic Faction and Insurrection"
↑ James Madison, (November 22, 1787). "The Same Subject Continued: The Union as a Safeguard Against Domestic Faction and Insurrection". ↑ Mark McKenna, The Traditions of Australian Republicanism (1996) online version; John W. Maynor, Republicanism in the Modern World. (2003). This page was last modified 21:05, 24 December 2014.